Singam 2 sequel of Singam directed by Hari starring Surya,Anushka, Hansika, Santhanam has successfully completed 50 days theatrical run at the Box Office. The film which was released on July 5 has been declared a hit. 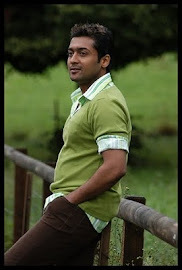 The film's collections have been steady and the Surya's performance in the film has been appreciated by all. Produced by S Lakshman Kumar, Singam 2 had Devi Sri Prasad's music. The team also had a success meet after the films amzing opening and Surya thanked the media and audience with folded hands and said that this success was a much-awaited one for him.